I’ve talked a lot about how brunch is a big deal in this house. I make it every weekend no matter what is going on. Since our weeks are always so crazy, it’s a fantastic time to just sit and enjoy each other’s company. This week happened to be a little more crazy than usual, so I thought we might need something a little stronger to go with our brunch. So I brought out the old Italian favorite, the peach bellini. We already had a bottle of prosecco in the house and farm fresh peaches, so the timing was perfect! 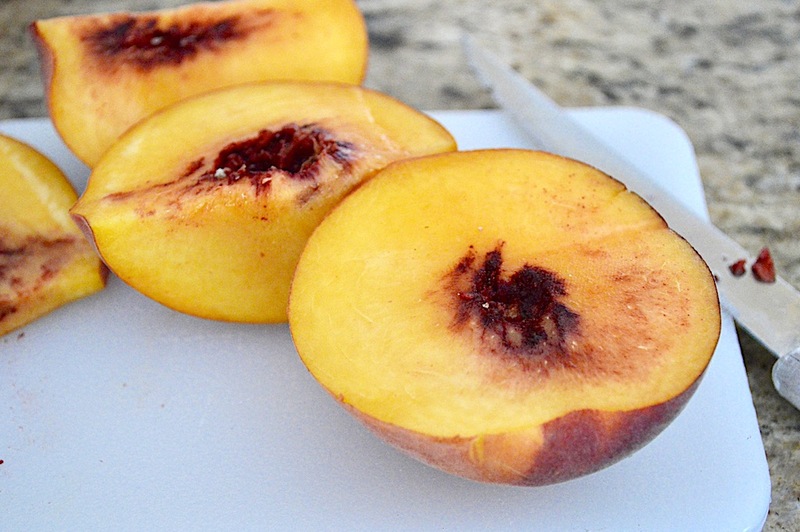 I’m still really holding on to summer and want to enjoy peaches for as long as possible! I bought a bunch at the farmer’s market and they were so gorgeous. When I cut into them they also were so wonderfully juicy. I pureed one of those glorious peaches with a little bit of cinnamon and brown sugar. It may still be summer, but that bit of spice was my little nod to the impending fall. That mixture made the most incredible base for the peach bellini. I poured a quarter of the puree into each of my 4 champagne flutes. Oh yes, 2 of them were our precious Disney flutes that we drank from when Marc proposed to me in the Magic Kingdom! Then I filled the glasses the rest of the way with my chilled prosecco. 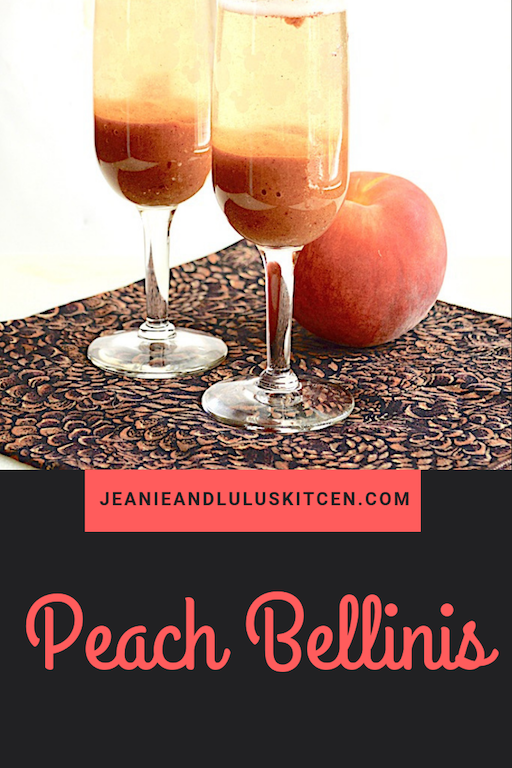 These peach bellini drinks are so refreshing on a warm night! 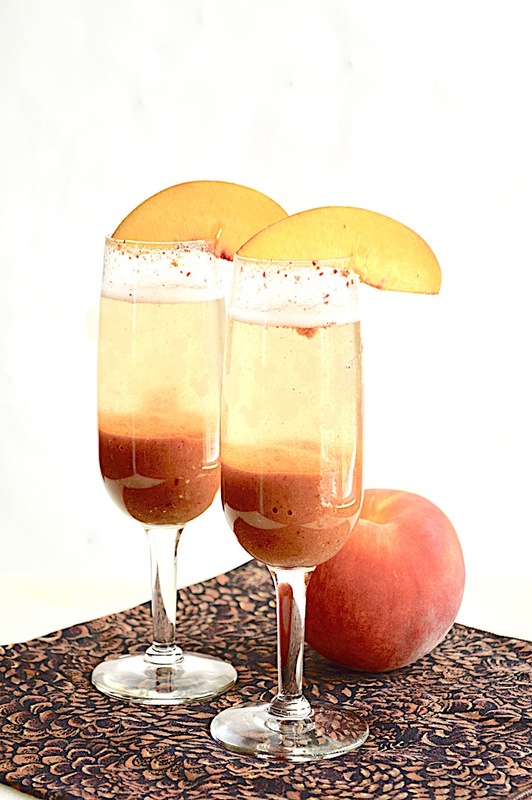 They're really simple to make with gorgeous summer peaches and prosecco. 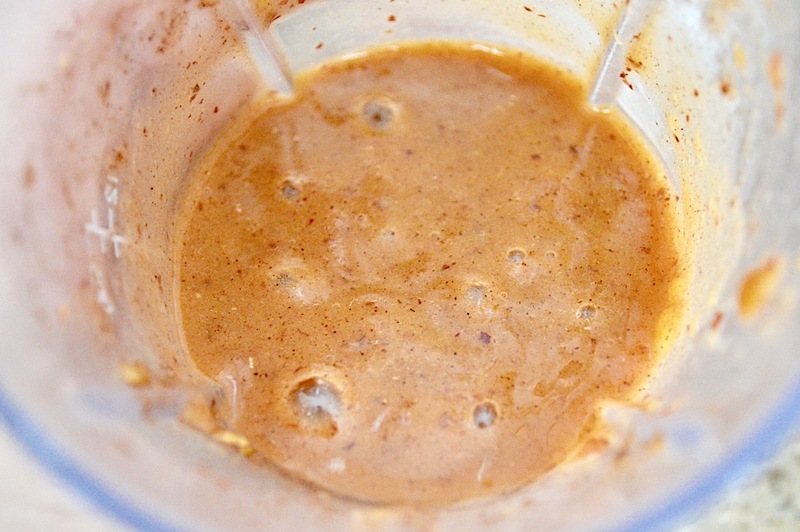 Combine the diced peach, cinnamon, brown sugar and water in a blender. Puree it all together into a smooth, thick mixture. It should yield about 1 cup of puree. 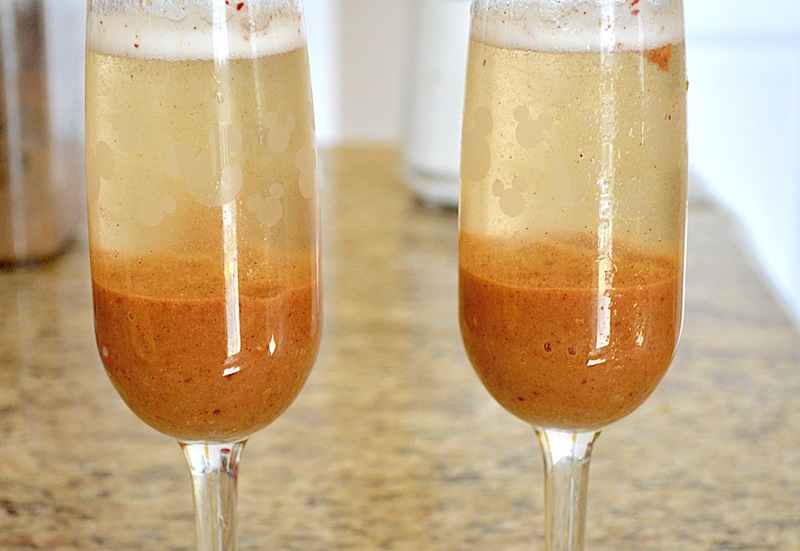 Get out 4 champagne flutes and pour 1/4 cup of puree into the bottom of each glass. Fill them all the rest of the way with the chilled prosecco and garnish each of the glasses with a peach slice. Serve immediately and enjoy!